First rule of STLH - We do NOT talk about STLH. Second rule of STLH - You must live in the St. Louis Area. Third rule of STLH - You must LOVE HETALIA! This is a group all about Hetalia, just for the St. Louis area people! wanna get together and cosplay? Here's the place to go! 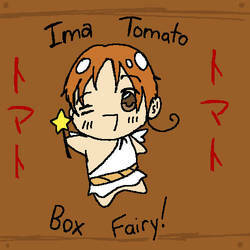 Hello my lovelies, welcome to St. Louis Hetalia~! We welcome all cosplayers and artists and writers in the St. Louis region that loves Hetalia! If you live in the area of St. Louis, then feel free to become one with us and we can't wait to see our little minion army group grow! To join us please just tell us if you are a cosplayer, artist, writer or a combination and what region of the St. Louis area you are from (i.e. the city of St. Louis, St. Louis County, St. Claire County, a corn field, etc.) and you will soon find yourself in the midst of our crazy little family. What the heck is this for? Well my dears, we hope to gather St. Louisian Hetalia fans and just generally geek out together. We also want to provide a community that will help each other grow in the art of skillful cosplays, articulate literature, and beautiful illustrations, in a healthy and positive way. We hope to see you at cons, hope to see your art, and hope that you eat pasta~ And with that being said, welcome my lovelies. Please drop in and see who's chatting! Are you still letting people join your group ? Because I have been looking for a cosplay group to join and possibly cosplay with others near me. I live in High Ridge. It's 33 minutes from St Louis. Anyway it would be great to finally cosplay with others. The only person I cosplay with is my best friend, she cosplays Russia. Please send me a message to reply or reply to this, thanks. Oh that's good! Do I have to be a certain age ? Honestly it'd be better to discuss either on kik if you have one. My name on there is attackontitan_anime. Or anything else thats easy to discuss on. I'm going to second the thrift store comment. My current cosplay excluded, all of my past cosplays have been part thrift store, part I make a prop for it myself. It's fun. As far as where to go, I've found that the easiest option is to buy the cosplay online (but then you run the risk of getting poor quality cosplay), cosplay is definitely something that can get kind of pricey too if you want really nice outfits. Personally though, I shop around at thrift stores in the area and see if I can spot anything that resembles the clothes I'm looking for and then piece it together. This way is a lot cheaper usually, but it's not always easy to find what you're looking for. Hi! Sorry if this is a bit late. I hope your daughter had a great Christmas. I get most of my cosplays online on eBay or hellocosplay.com. If the cosplay she wants looks simple, however, Goodwill and Plato's Closet both have a wide array of things. I wish it was at Forest Park like it was two years ago. Collinsville is Far away from where I live. I want to go so badly! I've never gotten to go to APH day. I feel sad about that. Hopefully I can go next year. In March we're going to the Zoo in cosplay. Hopefully there will be a big group; you're welcome to join us! Tell your friends!